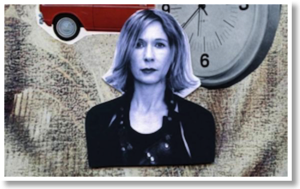 Musician Sam Phillips has strived for new ways to perform and create music. 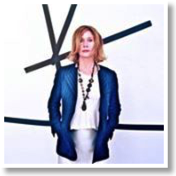 Since her first release titled The Indescrible Wow (1989), produced by T-Bone Burnett, Phillips has continued to write and play music that moves her. And in 2008 she won a Grammy for album of the year Don’t Do Anything. Phillips has also composed and performed television music on ”The Gilmore Girls” and “Bunheads.” She has songs in movies such as Stealing Beauty and Crazy Heart. In this interview she answers our questions about her new release Push Any Button and shares some of her early music memories. Jupiter Index: You have a long history in playing music. Can you share your memories of making your first alternative rock album The Indescribable Wow (1988)? Sam Phillips: It was exhilarating because for the first time, I was working with a producer (T Bone Burnett) who understood what I loved and wanted to do. 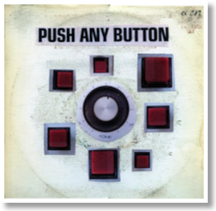 Your new album Push Any Button has a new sound, but it also has a feel from music of the past. How did you craft this record? Push Any Button is my impression of some of the music I grew up with filtered through the present. I am very lucky to work with wonderful musicians who have interesting things to say musically. Tell us how about the song “Listen to the Rain” came about and how you worked on the arrangement for it? “Listen To The Rain” is a bonus track that is only available through my website. It was written for a country project T Bone Burnett and I started in the early 90's but never finished. I thought it would be fun to have Eric Gorfain arrange strings for this new version. You said once that you would like to produce and release an album that is all analog. What would that album sound like? I have done that most of my recording career. I would love to do a live on one mic album straight to tape. From the age of three you began to listen to music, but what were your first five albums you owned? Honestly, other than the Beatles and my parent's jazz records, I don't remember. I think all of what you hear as a kid goes in and influences -- TV theme songs, radio commercials, etc. After you stopped working with the producer T Bone Burnett, what insights did you come away with for your music? The more I write, record and work with great musicians, the more I am inspired. I always end up playing what I've done for T Bone at some point and I try to keep up with all he is doing.